It’s part three of our fox trend roundup and this one is jam-packed with even more foxy goodies! 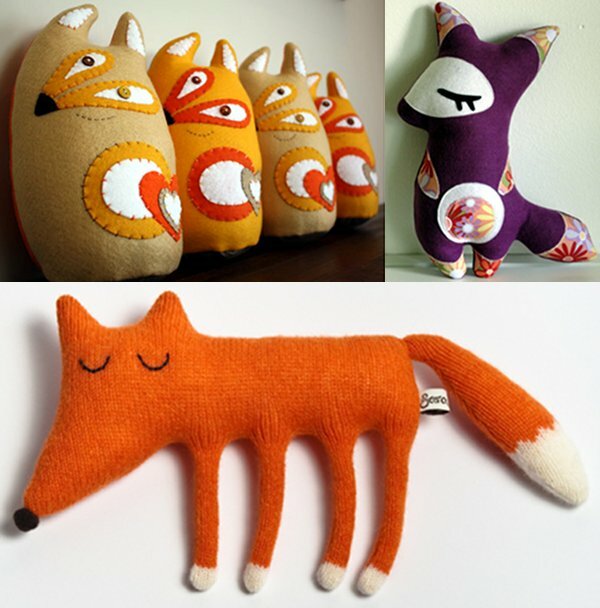 We’re stepping into fox toy land – there’s a little fox plush from Mietjie (US$60 top left), Plush Riot (US$28 top right) and Sara Carr (AUD$34 above). 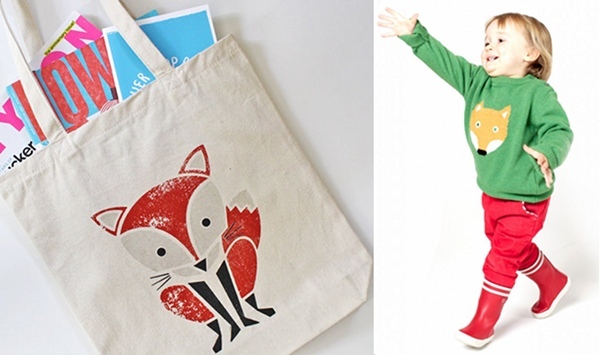 Go shopping with a foxy tote bag (US$22.50) from Sass and Peril with the little one dressed in this fox jumper from Tootsa MacGinty. Getting tired yet? I think not! Babyologists are obsessive about their gear and we aim to please! 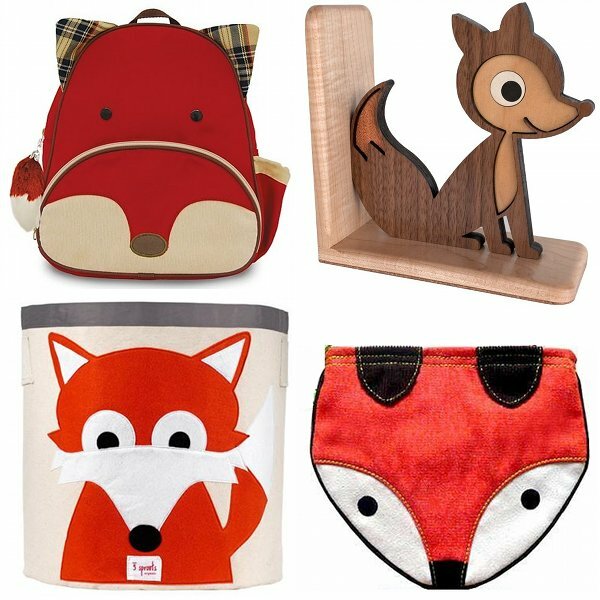 Skip Hop recently released its new fox lunch pack (above top left) and we’re waiting for its arrival here. We wrote about the bookends (top right) from Graphics Spaces a while back and wish that 3 Sprouts would release its beaut toy storage bin range here in Australia (above left). Tote your coins and cards around with this cute fox purse (above right) – I have one of these and it’s a great size for a night out to dinner. Lastly, here’s an amazing piece just for the ladies; a fox fascinator from Etsy’s Celaplu! It was just too incredible not to feature. Now you have all the fox resources you’ll ever need to kit out the kids and the home, I’m off to watch some old Basil Brush clips on YouTube… boom boom!